Lee Merideth spends a lot of time on the road from his home in Las Vegas meeting people at book signings around the United States and Canada. His books have been the mainstay of any nautical collection. Lee Merideth is an accomplished historian focusing on the Titanic and the Civil War in America. His best-selling books, Titanic Names and 1912 Facts About the Titanic have been acclaimed as some of the most exhaustive studies of the historic ship and its era of transatlantic crossings. RMS Titanic steamed into a brilliant western sunset on the cold night of April 14, 1912, with 2,208 people on board. Several books have included lists of these passengers, a slim handful even include the crew. 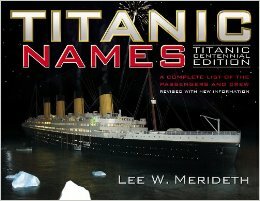 None of them, however, are as thorough and accurate as Titanic Names: A Complete List of the Passengers and Crew, the long- awaited companion volume to Lee W Merideth’s bestselling 1912 Facts About Titanic. Fascinating, lesser-known facts about the Titanic and details on the ship, the passengers, and the sinking. The book also explores aspects of the wreck today and salvage operations. Although the main events of the Titanic disaster are well known, significant facts and tidbits remain obscure. Who were the thousands of men who built the giant ship? How were the bodies of the victims collected and buried? What were the conclusions of the investigative hearings into her sinking? Answers to these and hundreds of other questions are presented in this useful, easy-to-read volume. Lee W. Merideth is the author of several Civil War reference books and a longtime Titanic buff. He lives in northern California. Who were the people that rode the doomed liner on that fateful night so long ago? What were their names? Where were they going? Where were they coming from? Were they on vacation or traveling on business? How many were emigrating to the United States with the hope of beginning a new life? Too often these people have been viewed as simple statistics when, in reality, each soul has a story to tell. Merideth’s book shares their story with you. 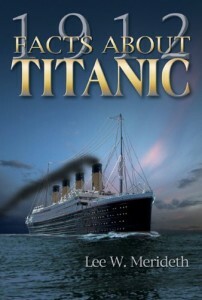 Titanic Names is designed as much for the casual reader as for the serious researcher. Its simplicity and ease of use are readily apparent in its presentation format. Two lists grace its pages, one for the passengers, and the other for the crew including who survived and the number of their lifeboat. If they perished, information as to whether their body was recovered and the burial location is included. Additional information may indicate a special relationship to another passenger (a maid or servant, for example), or the purpose of the trip. Families are listed together to ease the task of genealogical researchers. 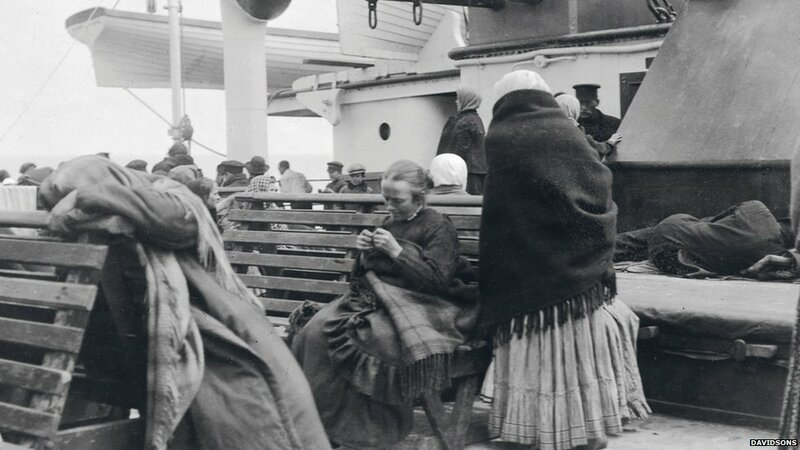 In addition to similar informational listings for each member of the Titanic’s crew, job titles and the department in which each person worked are also included. The result is a fascinating glimpse into the personal lives of the 2,208 people aboard RMS Titanic on that disastrous voyage. 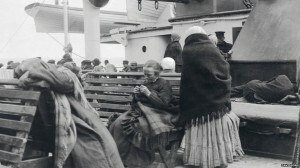 Steerage passengers get some fresh air in this photo by Father Frank Browne. Are your family names represented on the list of passengers and crew of the Titanic?